Application and service complexities have no bounds as digital transformation continues to accelerate. Enterprise organizations are accelerating their digital transformation with Amazon Web Services (AWS) to achieve revenue and customer satisfaction goals. Whether migrating applications using lift and shift, refactoring existing applications or developing new ones with microservices, managing the business on AWS cloud relies heavily on an enterprise’s ability to remove performance "blind-spots." NETSCOUT Application Performance Management for AWS enables you to deliver, deploy, and secure applications and services across physical, virtual, and cloud environments. The solution uses our smart data technology to distill real time, precise, and relevant intelligence from all connected applications and services including their interactions. It is NETSCOUT’s smart data that fuels the end-to-end visibility and deep analytics needed to protect the enterprise, gain more control of service quality, and preserve the user experience in hybrid cloud environments. NETSCOUT Application Performance Management for AWS allows you to accelerate continuous deployments with confidence plus assure application reliability, availability and responsiveness. See the NETSCOUT Solution Brief to learn how we do it and how smarter visibility allows you to take full advantage of AWS cloud capabilities. AWS Marketplace is an online store that helps enterprise organizations find, buy, and immediately start using the NETSCOUT Application Performance Management for AWS solution. BYOL (Bring Your Own License) is available and enables customers with existing software licenses to easily migrate to AWS. 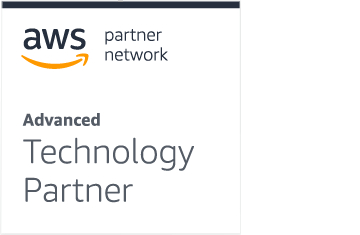 These customers can deploy NETSCOUT software on AWS servers, as long as they certify having the required license to do so. For more information, use the contact NETSCOUT form and select AWS BYOL Ordering as the reason.